Back-to-school season is a time of many emotions: excitement, curiosity and fun. For many families, it’s also a time of uncertainty as costs associated with required school supplies quickly add up. The Sparkling Ice team saw this need and felt there was something we could do to help. Partnering with Crest Foods in the Oklahoma City market, we created a retail program featuring a $1 donation from Talking Rain for every case of Sparkling Ice sold. The total donation? We raised $5,000, enough to purchase 300 school supply kits for families who need them most. 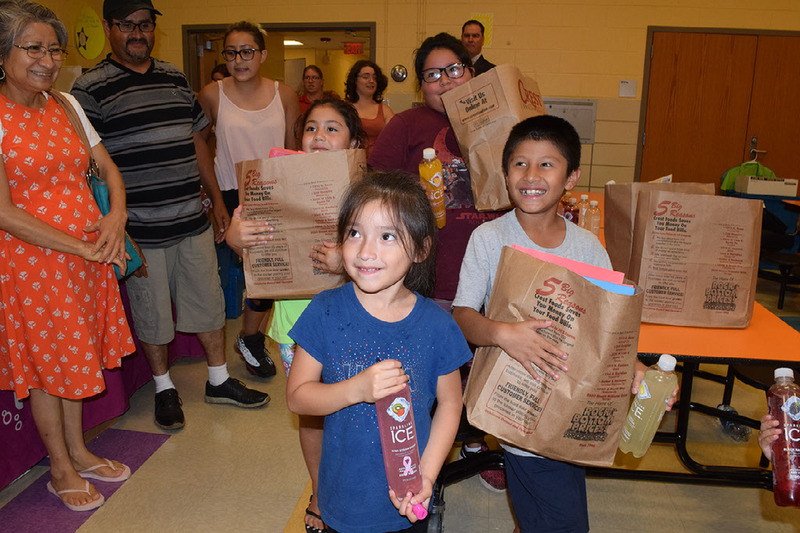 In late July, Sparkling Ice hosted a “Back to School Bash” at Oakridge Elementary School where students received their school supply kits. “Starting a new school year is always an exciting experience and the fact that amazing community partners like Talking Rain Beverage Co. and Crest Foods are ready to step in and help our families makes it even more special,” said OKCPS Superintendent, Dr. Sean McDaniels. “For many of our families, purchasing new school supplies represents a big cost for their budget, so these brand-new school kits will help alleviate the burden for our families and our students will be ready to come back to school and have all the supplies they’ll need for a year full of learning and growth,” he added.